Purchase/buy top grade Sky fruit with world wide delivery. 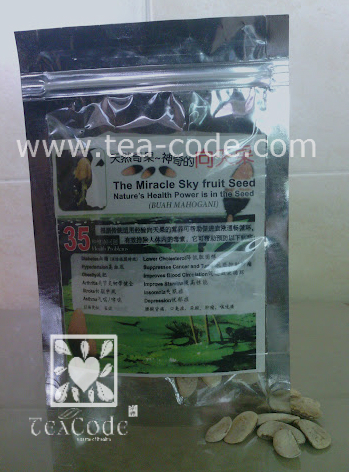 Ingredients: Sky fruit (Swietenia macrophylla) seed. 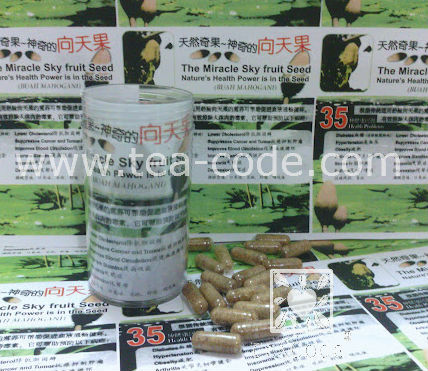 Description: Sky fruit seed with husk. Packaging in Malaysia. 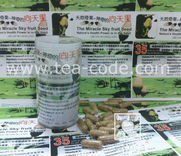 Ingredients: Made of sky fruit seed and American ginseng.& vegetarian capsule. Promotion: Buy 3 bottles and above FREE delivery!! *Free delivery applicable to Malaysia only. Each packet of sky fruit seed is approx. 28 gm ±. E.g. : Let's say you order 5 packets only, the shipping fee will be charged same as shipping 16 packets because it round up to 500 gm per shipment. Same goes to 1 kg shipment, if the shipment is 550 gm, it will round up to 1 kg shipment. Our recommendation is either you order 15 packets (500 gm) or 30 packets (1.0 kg) to lower down your shipment cost. Note: If the order form is not working properly, please click on . For international shipment, shipping rate varies according to country and weight. 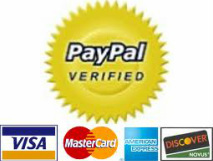 Once you submitted online order, we will contact you for the shipping rate via email. Shipping Time: The delivery normally takes 1 -2 working day(s). It might be delayed due to courier company and Tea Code will not be liable for the delay. Shipping method: Your item will be shipped by FedEx. Please contact us for international shipping rate. Customs Clearance, Duties & Taxes: TEA CODE are not responsible for any import duties, delay, failure to deliver or taxes incurred due to respective buyer's local customs rules and regulations. Service fee of 7.8% will be imposed on top of the order. Cut off time is on Sunday, 1.00 pm. Order received after that will be sent out on next week. Your order will be send out by Monday working day. ** For wholesale purchase please email/call us for quotation.